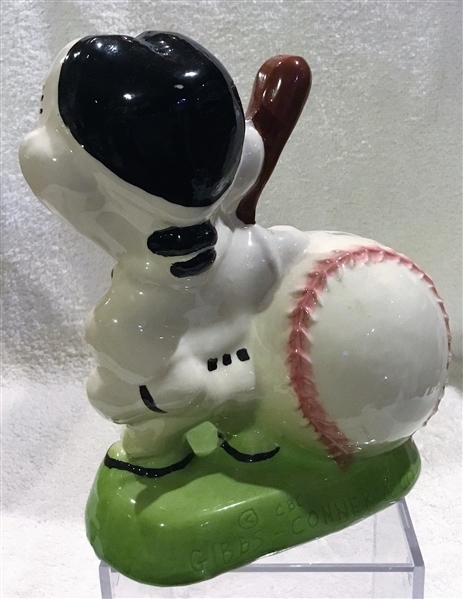 It's not often that you can pinpoint an exact year to the older pieces of figural sports memorabilia. This one is easy. 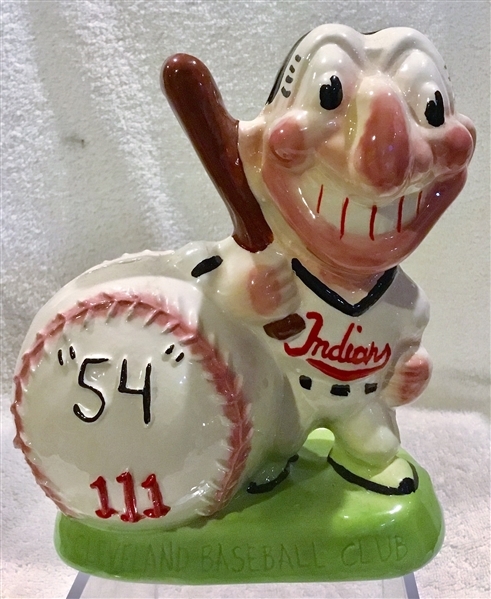 This Indians bank was made to celebrate the Cleveland Indians historic year of 1954 when they won a then-record 111 games in the regular season. Unfortunately, the year ended in disaster as the Indians would lose all 4 games of the 1954 World Series to the N.Y. Giants. 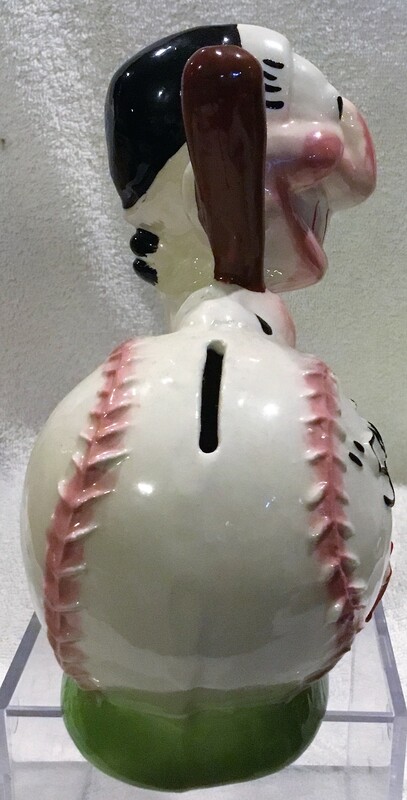 The bank is incredible looking with the number "54" and "111" embossed on the baseball. The bank stands nearly 7" tall. The team name is etched onto the front of the base. The company name is etched on the backside of the base. It has super bright coloring and has to grade a strong near mint.